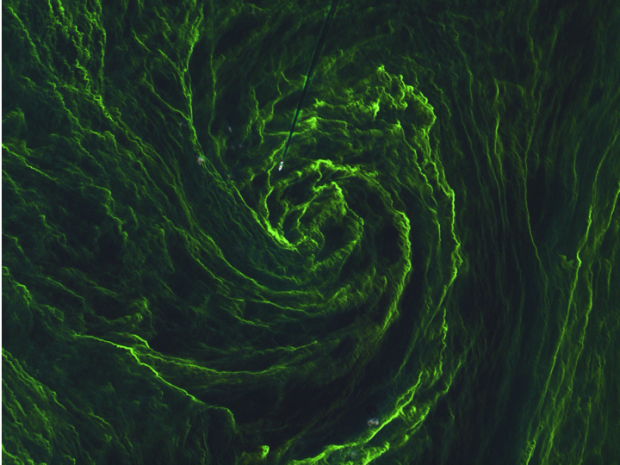 Despite only being in orbit for a matter of weeks, Sentinel-2A has exceeded expectations with this image of algal bloom in the Baltic Sea. The second of the Sentinel fleet (launched June 2015) was initially built as a land monitoring mission, however it has found it's way into marine applications. It works as part of Europe's environmental monitoring Copernicus programme. This gorgeous image, taken just over a week ago (7 August 2015), shows amazing detail of an algal bloom. Blooms in the Baltic Sea are often seen as a green-yellow soup. Large blooms are caused by high water temperature and sunny, calm weather. These conditions cause problems to the ecosystem, aquaculture and tourism. In 1974, the Baltic Sea got so bad that the Helsinki Convention for the Protection of the Marine Environtment of the Baltic Sea was created to improve the areas. It's health has improved since then. Want to know the latest news and updates? Make sure to follow us on Twitter, Facebook and Instagram!